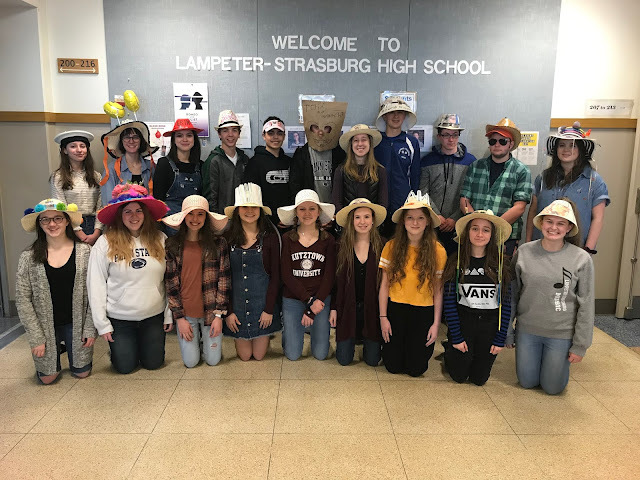 On a blustery spring afternoon, the Lampeter-Strasburg girls lacrosse team battled Cocalico and came away with a solid victory. The Pioneers defeated the Eagles 13 to 3 despite the impending wind, rain and chilly weather. Main scorers were sophomore Kendall Ream, senior Hannah Keller, senior Joanna King, freshman Kelsey Kimmel, senior Madi Lawhead, and junior McKenna Kimmel. The Kimmel sisters definitely showed their lacrosse strengths during this game, with many points scored between them. After the game, attitudes exuded excitement. "LSGLAX is lit," exclaims senior Madi Lawhead (for those unfamiliar, lit = wonderful). The love of lacrosse is immense amongst the seniors, especially since it is their last season, they are living their lacrosse lives to the fullest. Overall, the team and coaches are extremely proud of their successful win and are hoping for the same as the prepare for their game today.